Killamarsh Daycare 1988. Waiting for coach to go to Mablethorpe. 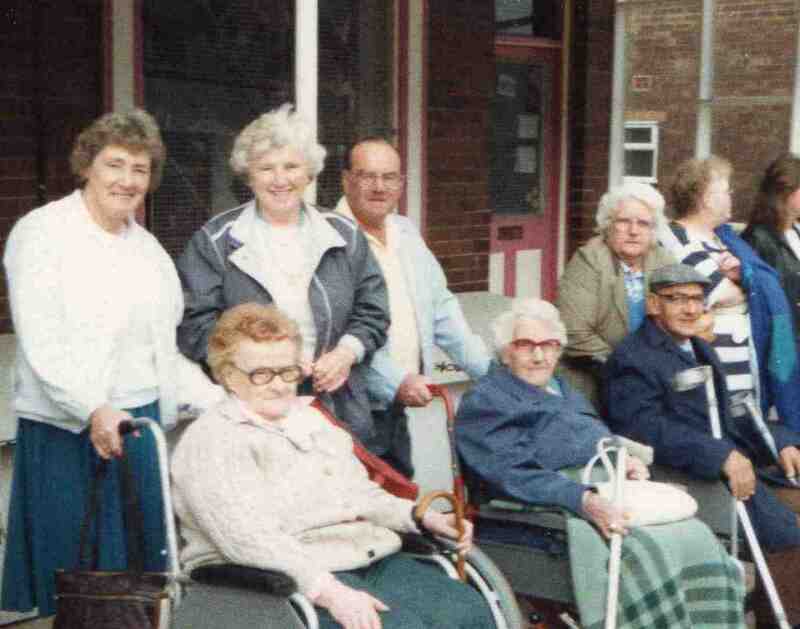 Pictured: Margaret Hopkinson, Hilda ?, Mr Burgess, Mrs Burgess, Mrs Jones, Mr Jones, Mrs Hayes, Tracey Haynes.